Red Squirrels have long been one of my favourite animals. I watch them most days on the bird feeders in our garden. I grew up with them too as my childhood was spent in Formby where they were could often be seen in the pinewoods (now a National Trust reserve). I've known for many years that they are a threatened species and that I'm privileged to see them so often. So I was delighted last year when I heard there was going to be a photographic study intended as a rallying call for the expansion of the forest on which the squirrels and so many other creatures depend. The book was a crowdfunded endeavour and I was happy to contribute, feeling this was a book that really needed to be published. A few days ago the book arrived and I've been trying to tear myself away from it ever since. It's packed with wonderful photographs of the squirrels and the forest by Neil McIntyre along with an informative text by Polly Pullar. It covers every aspect of the life of the red squirrel and also conservation measures and progress. 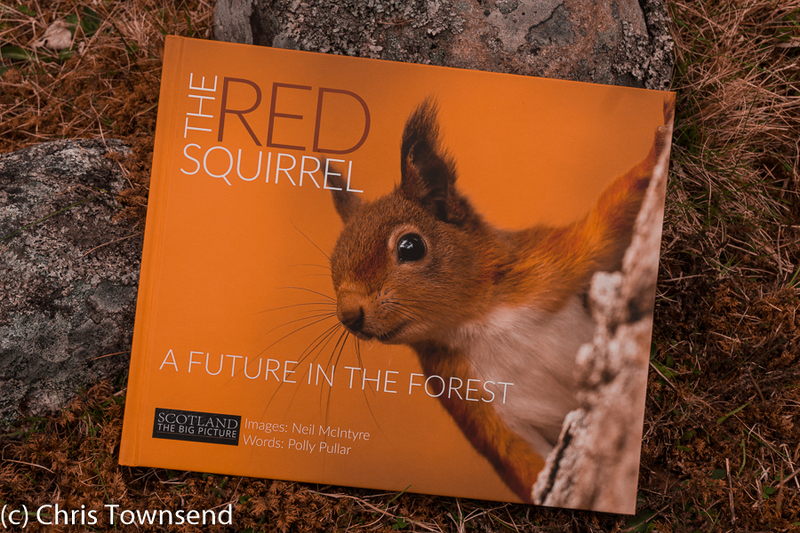 The book is published by Scotland: The Big Picture, a conservation body well worthy of support, and can be purchased from their website. I highly recommend it.